Professional Affiliations — Salar Hazany M.D. As a fellowship trained Mohs surgeon, Dr. Hazany completed a rigorous training fellowship at the Houston Methodist Hospital under the tutelage of Dr. Leonard Goldberg and Dr. Arash Kimyai-Asadi, world renowned dermatologic surgeons. Dr. Hazany's fellowship was approved by the American College of Graduate Medical Education (ACGME) the highest level of post graduate training. After completion of his Mohs fellowship, Dr. Hazany was inducted into the American College of Mohs Surgery (ACMS) where he maintains his membership group by attending annual Mohs College meetings and making academic contributions. Dr. Hazany constantly stays up to date on the latest and greatest skin cancer and reconstructive techniques made available by colleagues in his field. 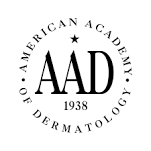 Dr. Hazany has been a fellow of the American Academy of Dermatology since 2014. He attends annual meetings where he stays up to date on all the cutting edge advances in the field. Dr. Hazany has been a member of the ASDS since he was in his first year of residency. In 2014, Dr. Hazany and Dr. Leonard Goldberg were victorious during the Iron Surgeon competition when they won against the top surgeons from across the country at the national meeting held in San Diego California. As a member of the ASDS, Dr. Hazany stays on the forefront of surgical and minimally invasive cosmetic procedures. At these meetings members have access to the most recent devices including lasers, and new injectables to help bring patients the best in aesthetic medicine.